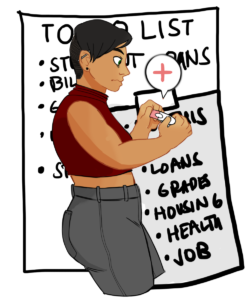 Should a UC Santa Cruz student need to obtain an abortion, they must schedule an appointment in between classes and work, and take the bus — which over two-thirds of students are limited to — to and from their appointment downtown. While Santa Cruz Planned Parenthood is a 20-minute bus ride from campus, 22 of the UC and CSU campuses are more than 30 minutes away from an abortion service provider via public transportation. Accessibility has always been an encompassing issue in abortion services, but being a student adds an extra layer of stress to the need and right to reproductive health. Senate Bill (SB) 320, proposed last February, would require all California public university student health centers to offer abortion by medication beginning in 2022, if passed. The well-established pill medications, Mifepristone and Misoprostol, are efficient, safe and cost effective before the 10th week of pregnancy. If this bill passes, it would increase accessibility for abortion services and decrease stigma around abortions by normalizing the medication as a form of reproductive health care. It would also allow college students to choose when they want to become parents. The federal government has already rolled back on Affordable Care Act regulations that made birth control pills accessible to all people with health insurance. SB 320 is a vital step toward reproductive equity at universities in California. About 519 students from all California public universities seek abortion services monthly, according to a UC San Francisco study. Over 51 percent of students are low income, making the $300-800 abortion pill a financial stress and barrier to care. If provided by a student health center, the pill could be offered at little to no cost for students, depending on their insurance plan. The campaign, justCARE: Campus Action for Reproductive Equity, has already secured the proper funding to support student health centers from private organizations like the Women’s Foundation of California. Opposers of the bill claim that universities should be spending money on education instead of health services. Wynette Sills, director of anti-abortion organization Californians for Life and critic of the bill, failed to acknowledge the barriers to accessibility for students. Sills thinks private abortion clinics should make services more accessible, not universities. “Ask the abortion industry to pay for Uber rides from campus or ask them to stay open late into the evening or ask them to stay open on Saturdays,” Sills said to The Sacramento Bee. Opposers such as Sills are posing a contradictory argument. Abortion clinics cannot afford basic costs, let alone luxuries like “uber services,” when the Trump administration has spent the past year waging a war to defund Planned Parenthood. Sills’ offhand comments ignore the blatant reality that inaccessibility is a major barrier for reproductive rights among college students. The right to an abortion is protected under state and federal law, but stigmas around getting an abortion continue to be yet another barrier to care. If students could access this type of reproductive health care from their campus, it would reduce the anxiety around entering an abortion clinic. Eighty-two percent of all college students believe having a child while in college would make graduating more difficult. Increasing access to abortion services for students would also increase educational achievements for all young people, as should be their right. Being a student is stressful enough. A person should choose when they want to become a parent without sacrificing their academic, personal and career goals. Women are already underrepresented in the workforce, particularly in high-paying positions. Women who have a child in college are often subject to the “double shift,” or disproportionate workload of school and unpaid home duties, further contributing to gender inequality. It is imperative that SB 320 pass not only to increase accessibility, but to improve reproductive and gender equity in a time when these rights are already under attack. Although student health centers offer the morning-after pill, it is vital to extend reproductive health care to abortion medication. To support SB 320, visit justCARE California to submit a letter of support.